The inflammatory response that follows the caustic burns results in fibrosis on the esophageal wall leading to esophageal stricture, dysphagia, and malnutrition. The controversy over the use of corticosteroids warrants alternative therapeutic interventions. 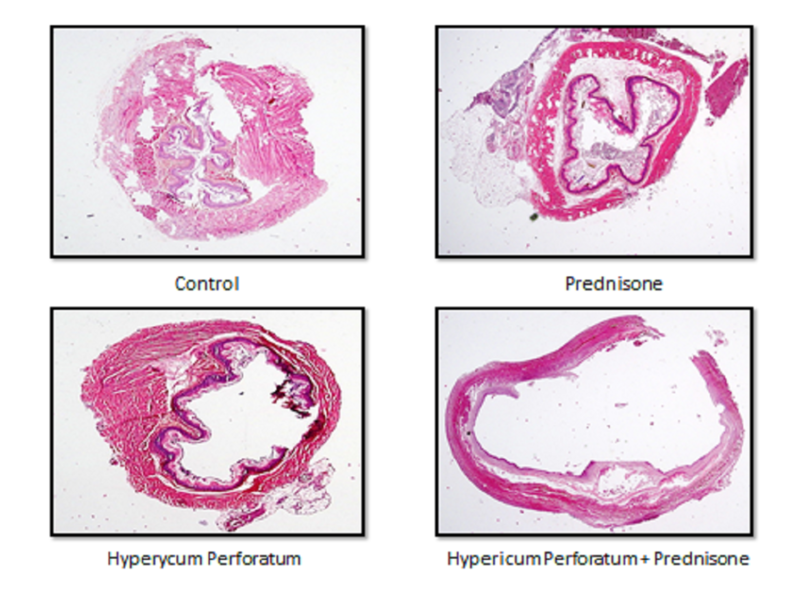 We investigated the effect of extracts from St. John’s wort (SJW) with known wound-healing activity on stricture formation in rat esophageal injury models. Five experimental groups were involved: sham group with no injury, control group with injury without treatment, and three different treatment groups (methylprednisolone, SJW extract, and combination of the two). Histopathological examination of esophageal damage and collagen accumulation, stenosis index, and tissue hydroxyproline levels were used to assess stricture and the effect of treatments. There was a significant weight loss in all groups except for those without injury and those treated with SJW extract, the latter gained weight albeit not significant. Stenosis index was increased in all groups compared to sham but not significantly in those treated with SJW extract. Histopathological and biochemical analyses produced mixed results. 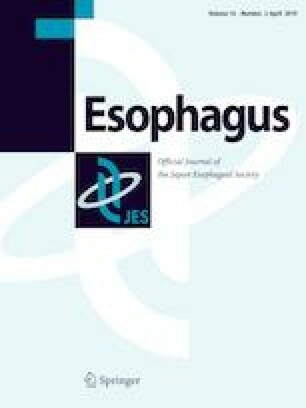 Some of the experimental indicators such as weight gain and stenosis index suggested the treatment of esophageal injury models using extracts of St. John’s wort effective while other histopathological indicators show no significant benefit. This article has been published at the 28th international symposium on pediatric surgical research in Dublin 2015. The online version of this article ( https://doi.org/10.1007/s10388-019-00671-2) contains supplementary material, which is available to authorized users. I want to give special thanks to Prof. Dr. Canan Baydemir (Kocaeli University Faculty of Medicine, Department of Biostatistics) and Dr. Sibel Balcı (Kocaeli University Faculty of Medicine, Department of Biostatistics) for statistical analysis and revisions. This study was funded by Kocaeli University Scientific Research Project Unit Quick Support Fund. All applicable international, national, and institutional guidelines for the care and use of animals were followed. We took ethical approval from Kocaeli University Clinical Research Ethics Committee. Mustafa Alper Akay declares that he has no conflict of interest. Mustafa Akduman declares that he has no conflict of interest. Ahmet Çağrı Tataroğlu declares that he has no conflict of interest. Ceyla Eraldemir declares that she has no conflict of interest. Tuğba Kum declares that she has no conflict of interest. Çiğdem Vural declares that she has no conflict of interest. Gülşen Ekingen Yıldız declares that she has no conflict of interest.